The contest is open to all Indian River County, FL middle and high school students. Essay submissions will be received through March 31, 2018 from students enrolled in Indian River County area middle and high schools. Essay submissions from private, charter and home schools will also be accepted. 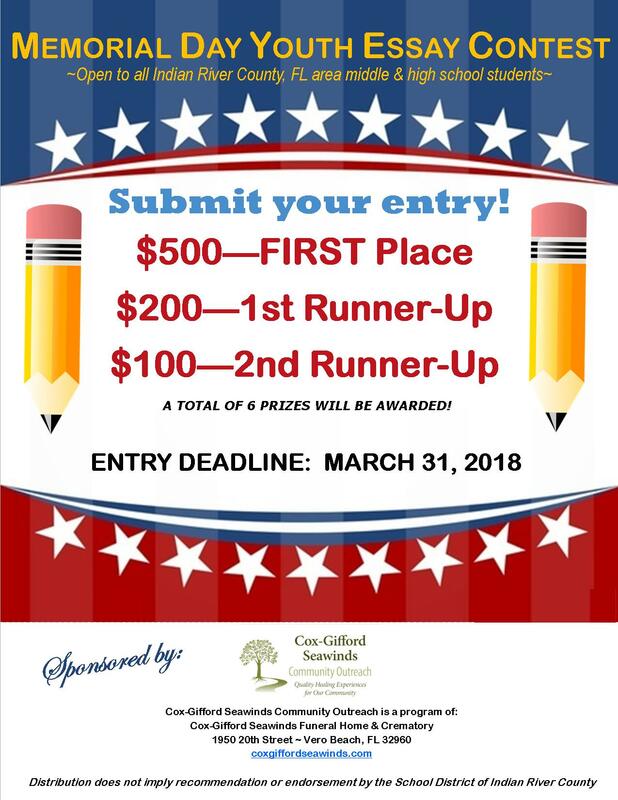 For information call Community Outreach Coordinator, Diane Saunier at 772-562-2365 or visit http://www.coxgiffordseawinds.com/page/youth-essay-contest .